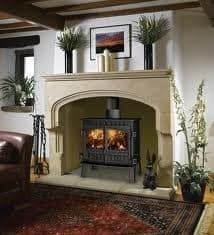 The Stockton 8 is one of Stovax’s best selling stoves. It offers you more choices and options than any other model. 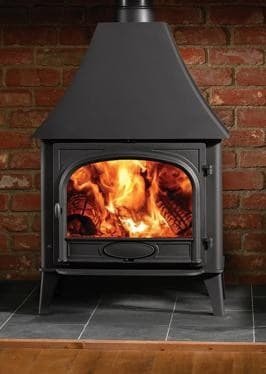 The Stockton 8 is available as a dedicated wood burning or multi fuel model. 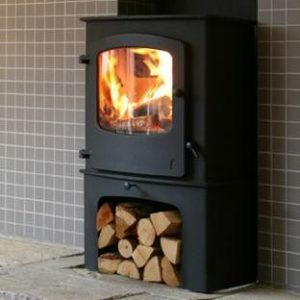 The multi fuel version will burn wood, but the dedicated wood burning model will burn wood even more efficiently. 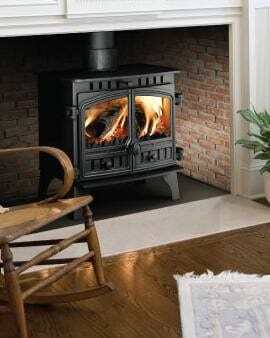 You can also choose whether to keep the stoves traditional flat top look, or add a low, or high canopy on top of it. Also, you can add a steel boiler to provide the home with hot water through out the cold winter months.